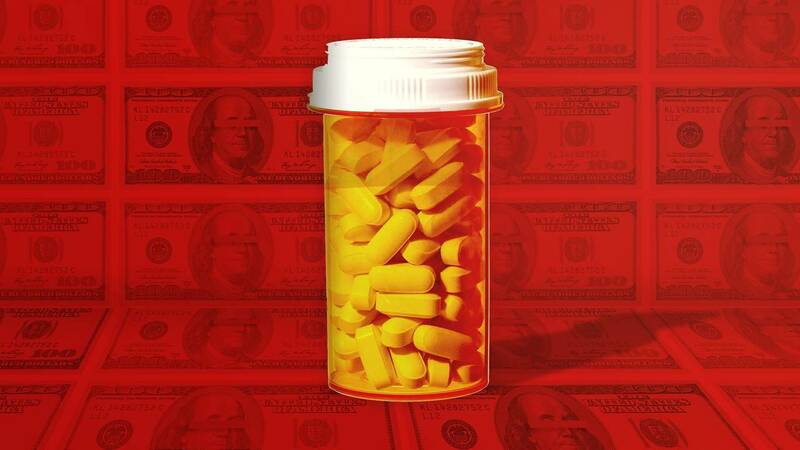 (CNN) - Washington's war on drug pricing is intensifying. Newly empowered congressional Democrats moved Thursday to put forward their own solutions to prescription price hikes, a legislative counter to President Donald Trump's own efforts from the White House to bring pharmaceutical manufacturers to heel. Sen. Bernie Sanders, the Vermont independent, Rep. Elijah Cummings, Democrat of Maryland, and a group of Democratic lawmakers on Thursday unveiled a legislative package that included two longtime Democratic proposals that have been introduced in prior sessions. It comes a day after Sens. Chuck Grassley, Republican of Iowa, and Amy Klobuchar, Democrat of Minnesota, teamed up to introduce a bill that would allow the importation of prescription drugs from approved pharmacies in Canada. The Sanders-led effort calls for allowing pharmacies, individuals and wholesalers to import drugs from Canada, and eventually from countries in the Organization for Economic Cooperation and Development that meet US standards. The other would allow the federal government to negotiate Medicare drug prices and to restrict the medications covered to enhance competition among drug makers. In addition, Sanders and California Democrat Rep. Ro Khanna are rolling out the Prescription Drug Price Relief Act, which would require the federal government to pay the same as the median price for a drug in Canada, the United Kingdom, France, Germany and Japan. This would lower the cost of brand name drugs by roughly 43%, and it would cut the price of certain medications by even more, according to Sanders. The concept is similar to one floated by Trump in October. Under the International Pricing Index model, Medicare would set the reimbursement level for certain drugs administered in doctors' offices and hospital outpatient centers at 126% of the average of what other countries pay. Sanders' bill would extend that idea to millions more Americans and cover many more drugs. "The United States pays by far the highest prices in the world for prescription drugs. This has created a health care crisis in which one in five American adults cannot afford to get the medicine they need," Sanders said. "If the pharmaceutical industry will not end its greed, which is literally killing Americans, then we will end it for them." Controlling drug prices has been a priority for the Trump administration and lawmakers in both parties. The President has publicly castigated drug makers for raising prices, while the Department of Health & Human Services issued a series of proposals aimed at reining in costs. Sixty pharmaceutical companies kicked off 2019 by increasing list prices on nearly 300 drugs, according to an analysis by Rx Savings Solutions, which sells software to employers and insurers. And more manufacturers are expected to quietly follow suit in coming weeks -- a delay experts say appears calculated to avoid attracting undue attention from Washington. Companies seem to be tempering their hikes in 2019. The average increase was 6.3%, down from nearly 9% a year ago, taking into account different dosages of the same drug. Still, the latest round of price increases has raised Trump's ire. He lambasted drug makers over the weekend, saying they are not being fair to consumers or the nation. The President also called in HHS Secretary Alex Azar to discuss the matter on Tuesday. The next day, Azar went on Fox Business and issued a series of tweets slamming the drug industry and promising to work with both Republicans and Democrats to reduce prices. Tackling drug prices is one of the few areas that might produce bipartisan legislation. Joint efforts aren't new. Last year, Grassley and Klobuchar, along with the late Sen. John McCain of Arizona, urged the Department of Health & Human Services to fast-track the importation of drugs from Canada in certain circumstances to counter drastic drug price increases in the US. "It's long past time for Congress to help the millions of Americans who struggle to pay exorbitant prices for medication," Grassley, chair of Senate Finance Committee said Wednesday.